We’ve survived the Mayan apocalypse. Now all we have to do is make it through winter, which begins today. Here in southern Vermont there was a layer of the white stuff on the ground this morning, though nothing like the Midwest has been contending with, I gather. I finally made up to Meulemans’ Craft Drafts in Rawsonville, Vermont, and taking the odds that the world would still exist a bit longer plucked this one off the shelf, along with a few others I’ll talk about in the next few days. 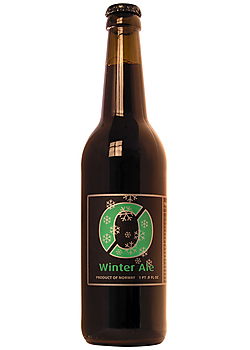 Next to the snow shovel, the Nøgne Ø Winter Ale may be the most valuable implement on hand to see us through to spring. This opaque brown elixir comes to warm us up from folks who should know something about winter, Norwegians. Specifically, it comes from a small brewery in Grimstad on Norway’s southern coast, where numerous “naked islands” (Nøgne Ø) as Henrik Ibsen called them, are visible in the North Sea. Former commercial airline pilot Kjetil Jikiun was an avid homebrewer who investigated breweries worldwide in his travels, but he was particularly enamored of innovative U.S. craft brewing. He kept flying for a while after opening the brewery in 2002, but now attends to Nøgne Ø full time, and has become a European, if not world-wide superstar of craft brewing, a virtual pioneer of new styles in Norway. “Although he still flies around the world to do collaborations,” said Robert Merryman, export manager for Shelton Brothers, which has been bringing Nøgne Ø beers into the U.S. for about five years. 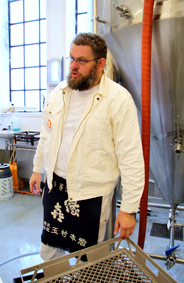 The company also hopes to eventually bring in some of the sake Jikiun brews, as it already has some of the beer-sake fusions he has made, like Red Horizon, a 17% ABV lid-lifter made with a traditional wort but put through a long, slow fermentation with sake yeast at low temperatures. Couldn’t have said it better myself; I’m merely wondering why I haven’t had any Nøgne Ø beers before if they’ve been around for five years and the Winter Ale is an example of the usual quality. It is all Merryman suggests, and perhaps a bit more, a strong brew with its coffeish, husky grain aromas mixing with alcoholic vapors. But it’s smooth, aptly called a warmer, and the finish is subtly and agreeably tannic. 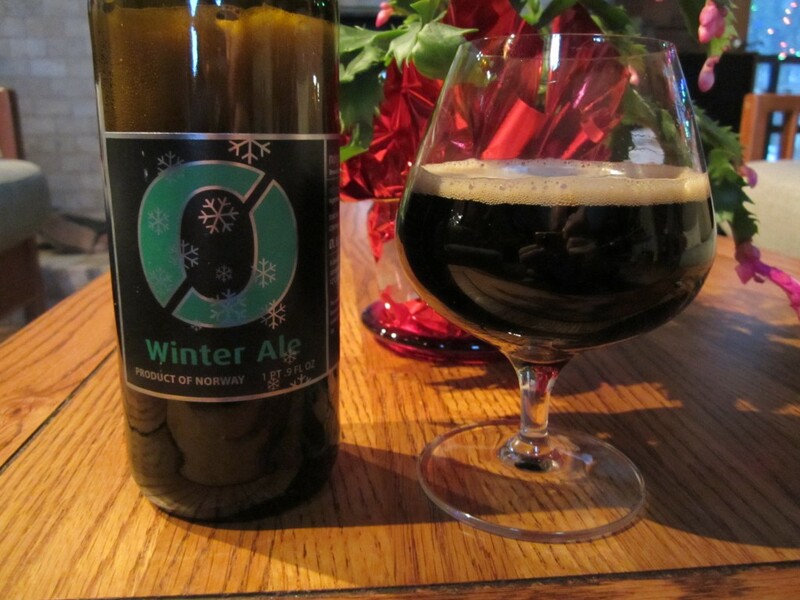 Pour this one into a snifter, put your feet up by the fire and contently watch the snow fall. Skål! Availability: Shelton Brothers beers are in 42 states, though not every beer reaches every locale.